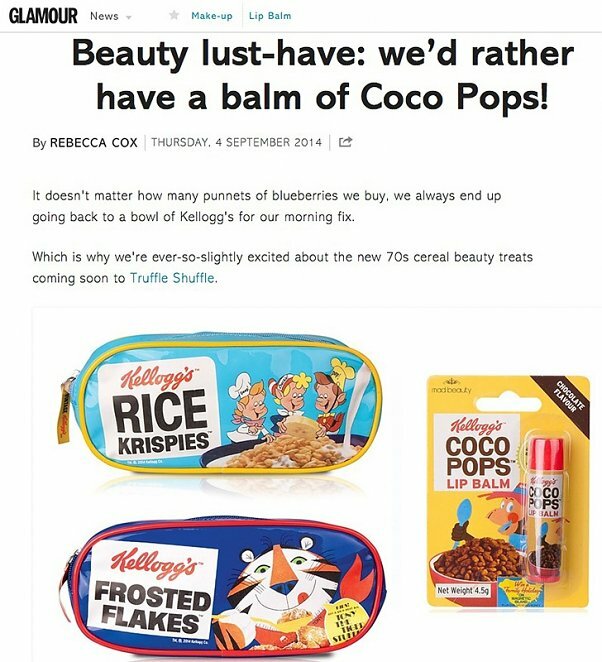 Harking back to the 70's, this official range of Kellogg's beauty products makes a wonderful gift for anyone with a love of retro style and yummy Kellogg's cereals. Such a nostalgic trip! 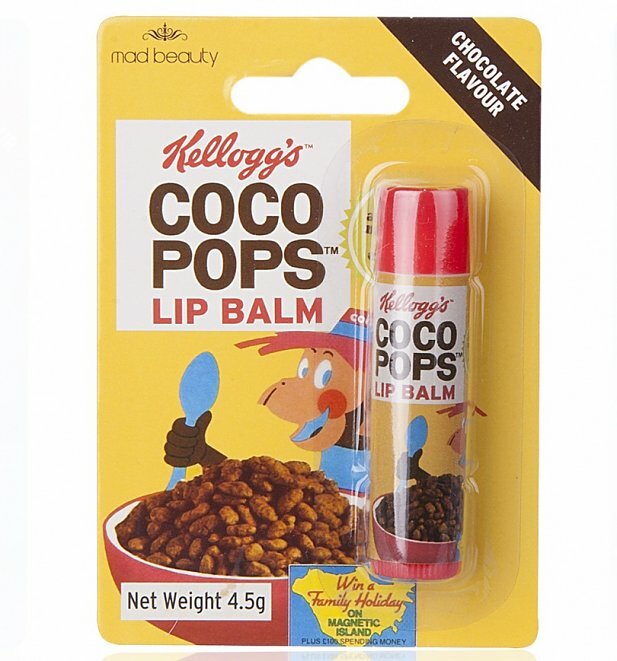 We are literally gone Coco-Loco here for this fab Coco Pops, chocolate flavour lip balm! National outrage was caused in 1998 when Kellogg's changed the name to Choco Krispies in line with how they were branded in the rest of the world. The British resolve won, and a year later they reverted back to Coco Pops! Please note this is not edible and cannot be returned once opened. Review: Such a cool lip balm, however it actually hydrates your lips too - whilst smelling like Coco Pops. 16452Kelloggs Retro 70s Coco Pops Lip Balmhttps://www.truffleshuffle.co.uk/product_images/TruffleShuffle_com_Kelloggs_Retro_70s_Coco_Pops_Lip_Balm_2_99_1.jpg2.99USDInStockGBP/women/accessories/gifts/gifts-for-foodies/food-and-drink-brands/food-and-drink-brands/kelloggs/mad-beauty/accessories/beauty/lipbalms/yellow/accessories/beauty/in-the-press/gifts-under-52.9900Harking back to the 70's, this official range of Kellogg's beauty products makes a wonderful gift for anyone with a love of retro style and yummy Kellogg's cereals. Such a nostalgic trip!